A few entrepreneurs have decided to let real-money online poker rooms’ battle for legalized online poker, while they use the loopholes that have allowed Brick & Mortar poker events to take place for years. One of the biggest of these legal online poker sites is PurePlay, which instead of asking players to risk money at their own discretion charges a monthly fee to compete at its tables. Players pay a $25 monthly membership fee, and are able to play in PurePlay’s tournaments that award cash prizes. Since the money awarded is from membership fees, and also advertising, PurePlay can state that its members are not risking their own money! Quite the loophole! PurePlay claims it has 2.4 million members, which at $25/month equals a lot of money, and makes the site extremely attractive to advertisers. Sites like PurePlay are hoping that real-money online poker stays in the legal gray area it now resides in, which would make the site more enticing to players unwilling to participate in online poker. PurePlay Poker is one of the largest subsciption poker sites that you will find online. 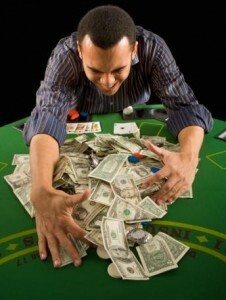 PurePlay is also one of the most trusted of subscription poker sites, and one of the longest running. Subscription Poker sites are when players pay a monthly subscription to play on that site. They then get access to a large number of tournaments where they can win real money. This entry was posted on Friday, February 26th, 2010 at 12:33 pm and is filed under Poker News. You can follow any responses to this entry through the RSS 2.0 feed. You can leave a response, or trackback from your own site.